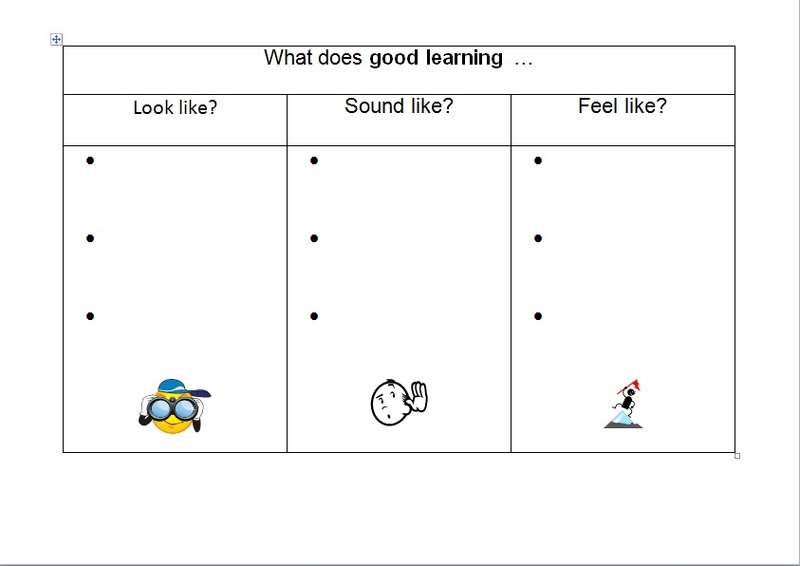 Use as a starter or plenary to get students to identify what good learning is. This is ideal for when you first teach a class to lay down boundaries and establish clear aims. It will highlight to students what they and the teacher should sound, look and feel like in order for there to be a conducive learning environment. Whilst students are working you could take pictures to show what learning looks like, write down quotes to show what it sounds like and ask students to discuss what it feels like?